Bloom Time and Color: Bright Pink flowers for 2-3 months, in early to mid-summer. 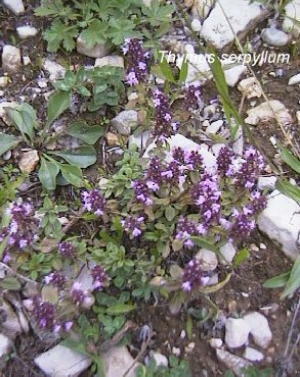 Description: Low growing thyme, only 2 inches high. This fine-textured plant is perfect for between your stepping stones, as a ground cover, or in a rock garden. It has a great lemony scent and bright pink flowers.